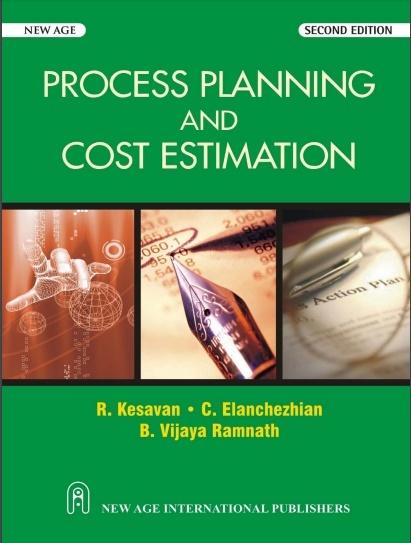 Process Planning and Cost Estimation - SECOND EDITION - R. KESAVAN (Assistant Professor , Department of Production Technology, M.I.T. Campus, Anna University, Chennai), C. ELANCHEZHIAN (Assistant Professor, Department of Mechanical Engineering, Sri Sai Ram Engineering College, Chennai), B. VIJAYA RAMNATH (Senior Faculty, Department ofMechanical Engineering, Sri Sai Ram Engineering College, Chennai). -NEW AGE INTERNATIONAL (P) LIMITED, PUBLISHERS.